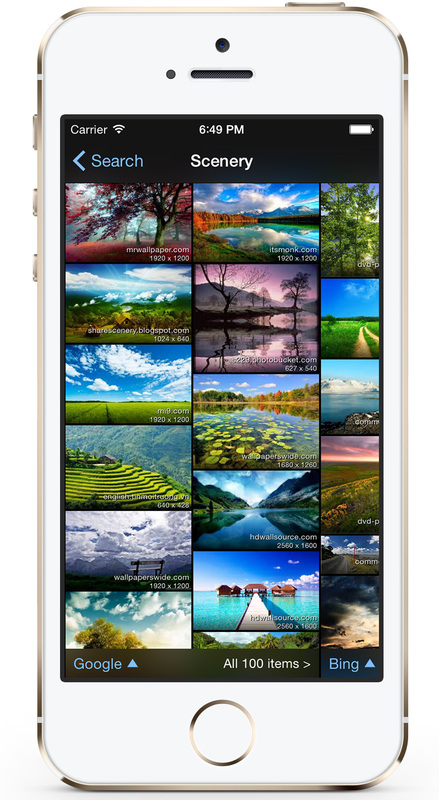 The new Vertical Layout mode is tailor-made for the iPhone and smaller screen sizes for optimum layout of photo thumbnails in picTrove 2 pro. 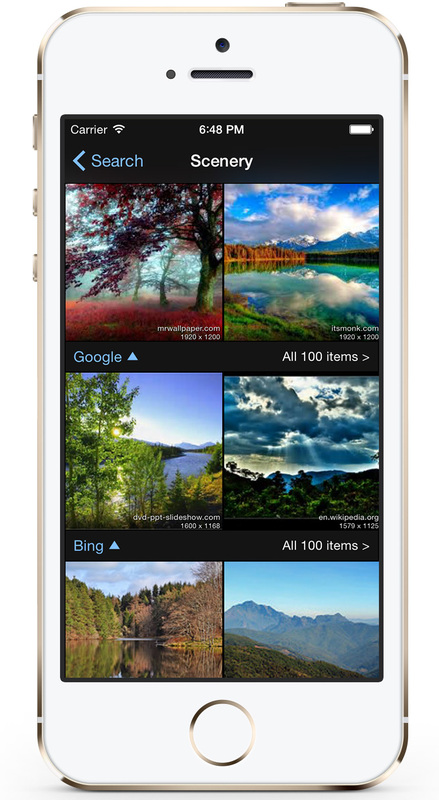 This vertical layout mode is controlled by a simple on/off switch in the picTrove settings screen, and is turned on by default for iPhone and small screen devices. For the iPad the Vertical Layout mode is turned off by default, but iPad owners can also turn it on to check it out. iPhone 5s showing results with Vertical Layout turned On. With this setting, you scroll vertically to see results from different sources, and swipe horizontally on the thumbnails to see more results from the same source. iPhone 5s showing results with Vertical Layout turned Off. With this setting, you swipe horizontally to scroll through different services, and vertically to see more results from the same service. Tapping the “All x items” button in either mode opens a thumbnail browser showing all the photos from the single source you selected. Vertical Layout works great on the iPad too. It can be useful on the iPad mini or on older models with less available memory.